The World Day of Prayer for Vocations 2015 falls on Sunday April 26, and in the lead up, we are using social media to encourage more people to pray for vocations. 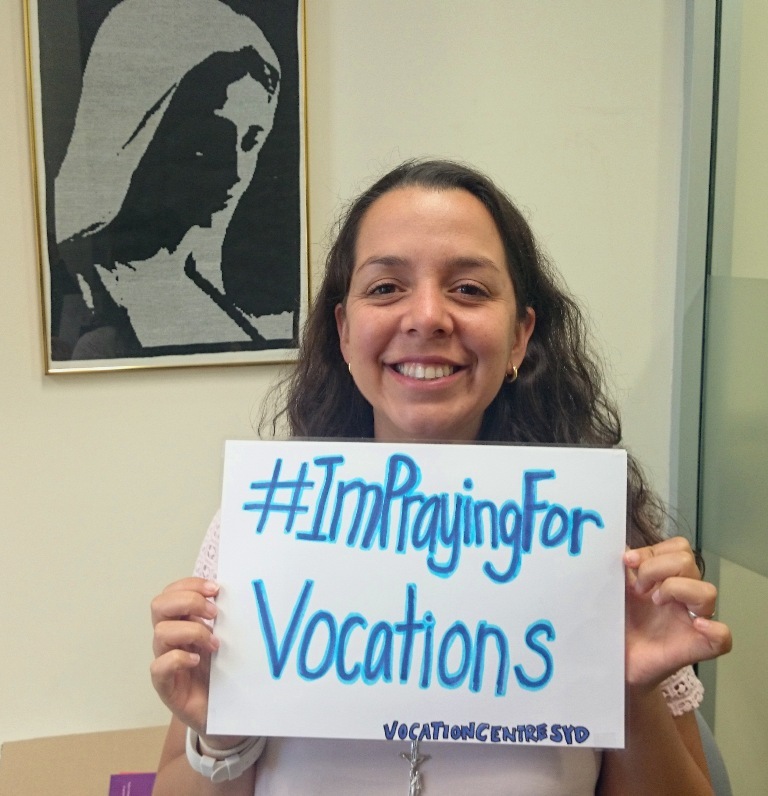 To do this, we are inviting everyone to take a photo of themselves holding up a plain white card/paper with the handwritten words – “#ImPrayingForVocations” and post it on social media. Help us take this campaign off by taking a photo of yourself holding up a handwritten sign as in the sample above and posting it to your Facebook, Twitter, Instagram, etc. Make sure to include in your post the text #ImPrayingforVocations and a mention of the World Day of Prayer for Vocations on Sunday April 26. The campaign will run from Monday April 20 through to Sunday April 26.